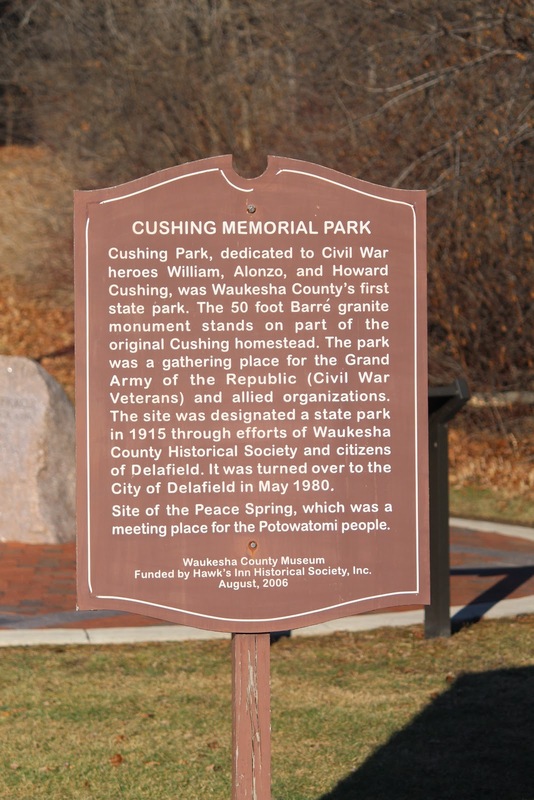 Funded by Hawk's Inn Historical Society, Inc.
Cushing Park, dedicated to Civil War heroes William, Alonzo, and Howard Cushing, was Waukesha County’s first state park. The 50 foot Barre’ granite monument stands on part of the original Cushing homestead. The park was a gathering place for the Grand Army of the Republic (Civil War Veterans) and allied organizations. 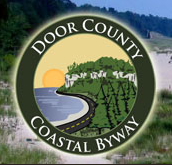 The site was designated a state park in 1915 through efforts of Waukesha County Historical Society and citizens of Delafield. 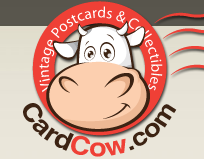 It was turned over to the City of Delafield in May 1980. Site of the Peace Spring, which was a meeting place for the Potowatomi people. The marker is located at Cushing Memorial Park at the north end of North Cushing Park Road, about a half mile north of its intersection with Main Street, Delafield, Wisconsin 53018. NOTE: The north end of North Cushing Park Road dead-ends at the marker location. This marker is No. 05-01 in a series of historical markers erected by the Waukesha County Historical Society. See also, Wisconsin Veterans Memorial Riverwalk: The Gulf War, 1990-1991, also at this location. Cross over this bridge to the marker's location. Looking north over the bridge on North Cushing Park Road.